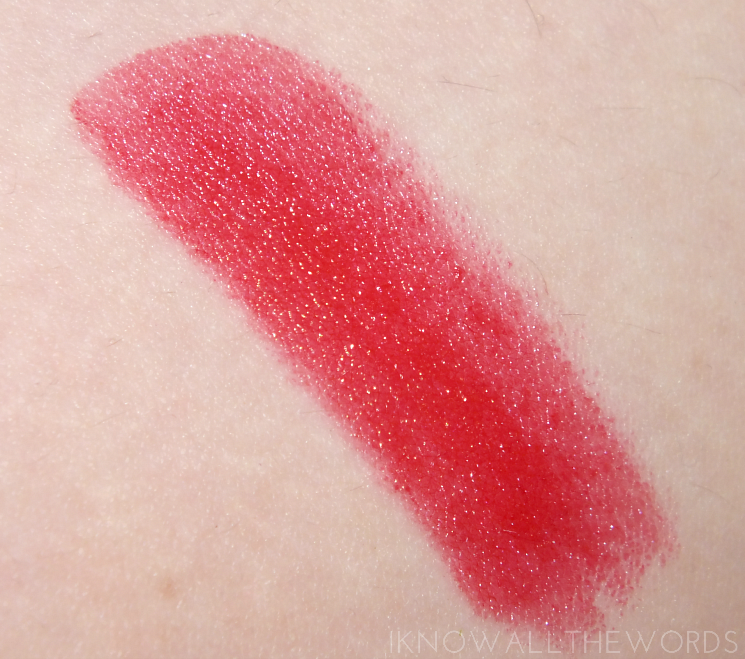 Canadian Flare is a gorgeous warm red with a creamy texture and a bit of glossy shine. 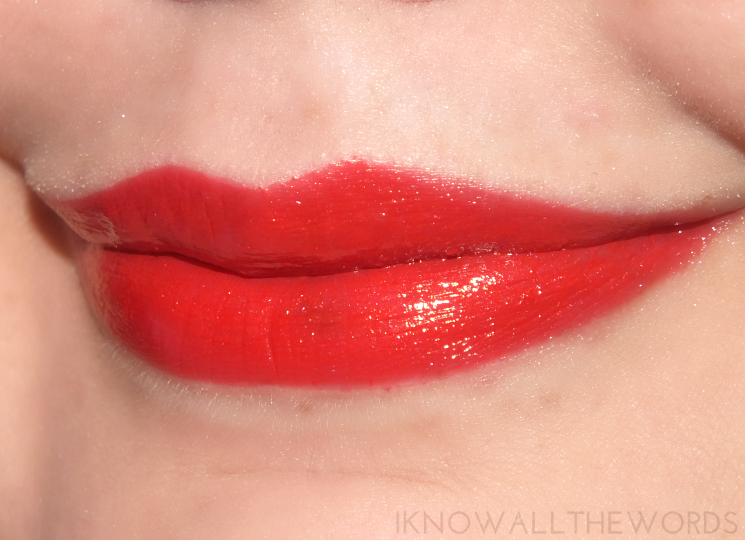 I usually opt for a slightly deeper, more cool toned red, but this shade isn't too warm and works well on me. 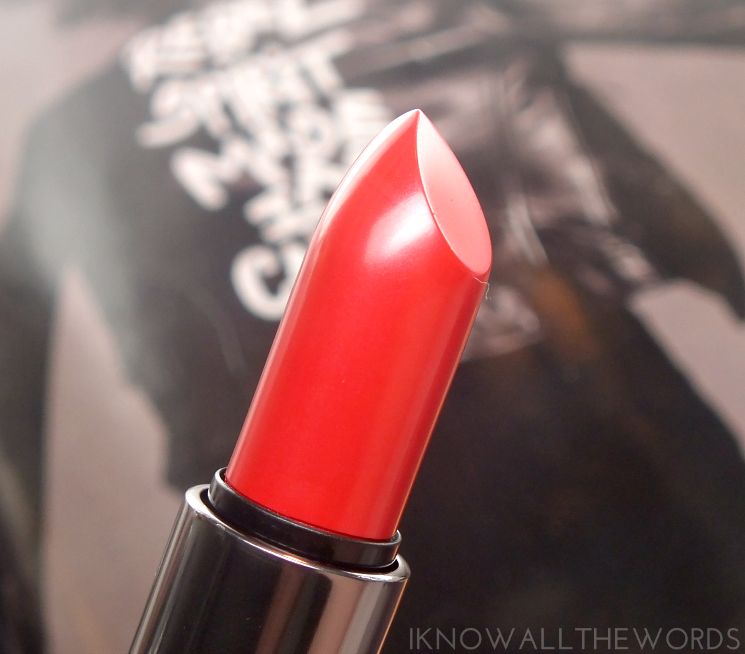 I think this shade should suit most, and the creamy texture wears very well. I have no prior experience with the Be Legendary formula, but this shade has a smooth, hydrating texture (thanks to shea butter, and vitamins c and e) and a buildable level of colour. The colour wears well for a few hours (4-5) and stays completely comfortable. I leaves a bit of a stain as it wears, which I quite like in a red lip shade. 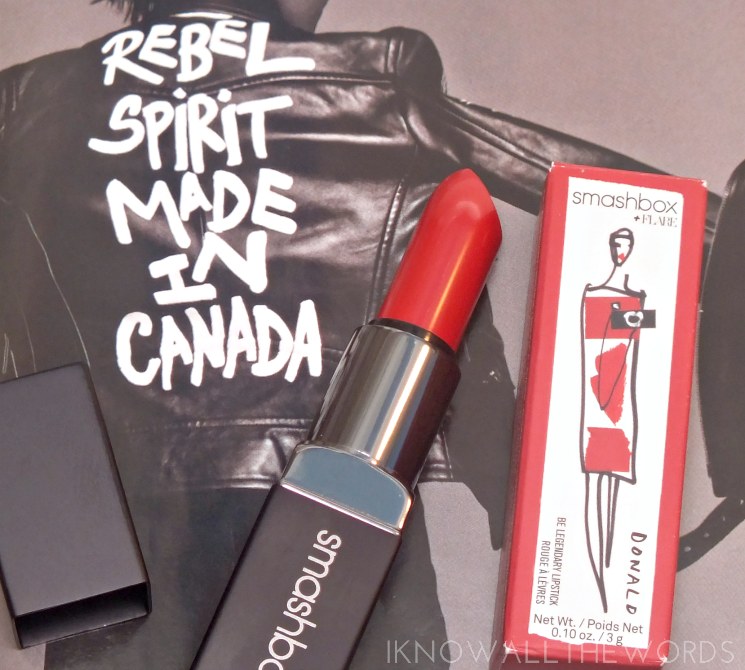 Overall, this is a great red lipstick! 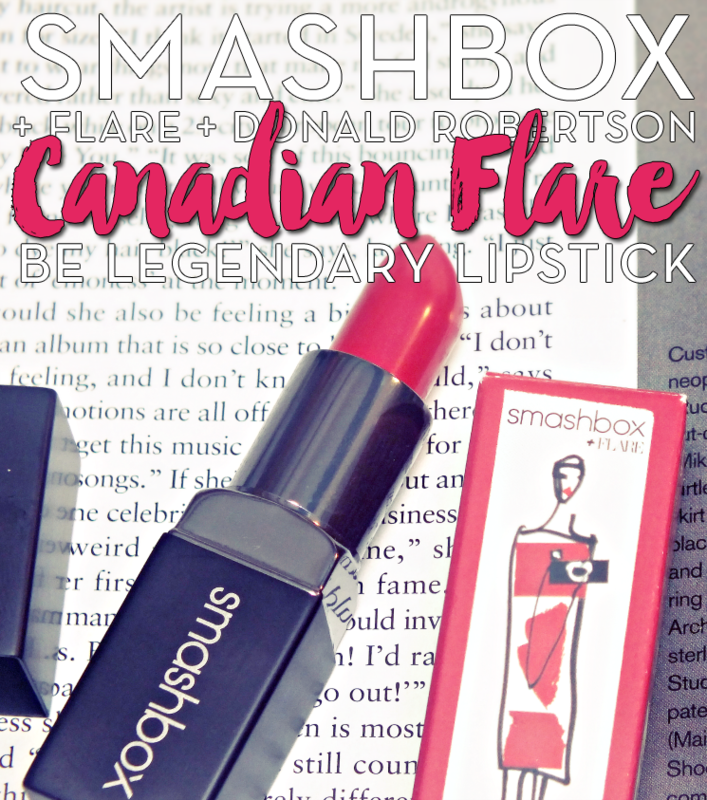 I love that Smashbox created something just for their Canadian fans and the Donald Robertson packaging is an added bonus. Should you not be Canadian (sorry!) 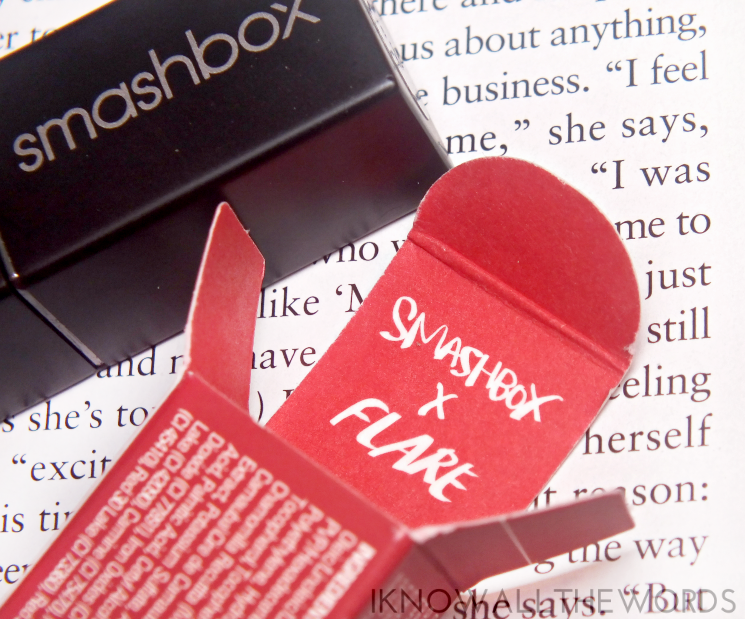 Smashbox has also released Smashbox + Donald Robertson Be Legendary Matte Lipsticks, with six Sephora exclusive, limited edition shades featuring packaging with Robertson illustrations. What do think of this red? Yay or nay?